​This car was only known by it's Registration Number and Chassis Number. to one of those shown. I found that it was listed in the Austin 7 Club's Association (A7CA). Reading through their Archive I found all the details of the car which is still listed on the DVLA Data Bank. 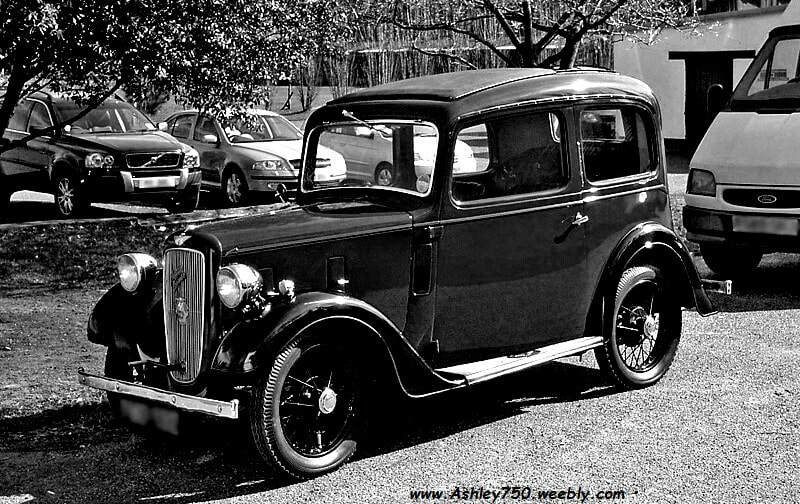 However the Archive at A7CA indicates that the car is registered as a Red Ashley 750 Austin. I'm assuming that the "Black" on the DVLA was the original 1937 ARR "New" Ruby Saloon colour. The Archive at A7CA also confirm the Chassis number and gives the Engine number as 199807. If I'm reading the notes correctly it was registered with the Bristol Austin 7 Club until 2013. (Donor car originally registered by Pembroke C.C.